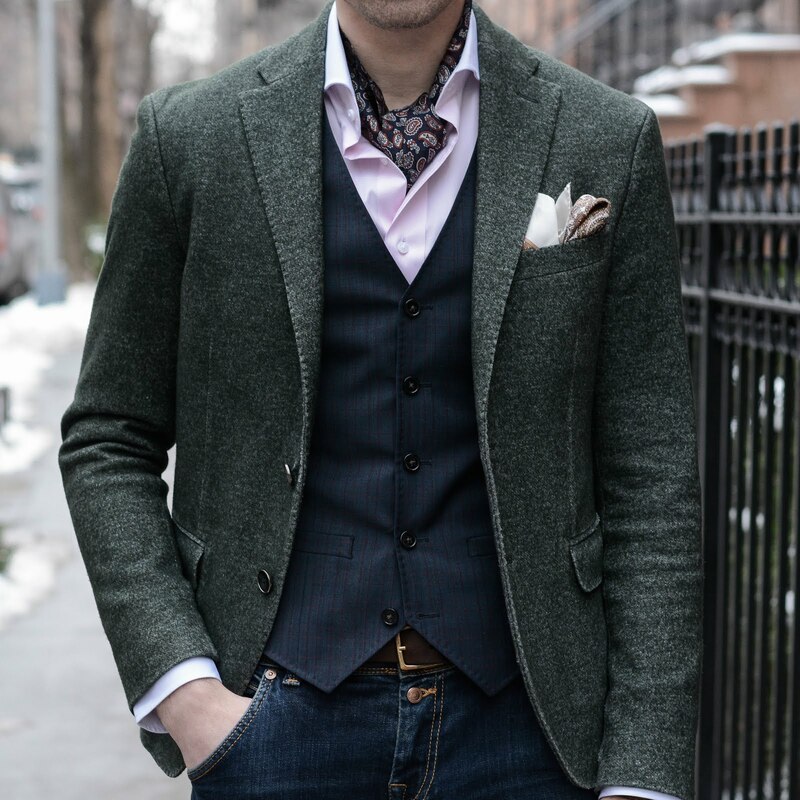 A foulard is basically a thin silk printed scarf. It’s a form of neckwear that is used to replace a tie or bow tie. I find that they tend to look best tied loosely around ones neck and tucked under a button up shirt. They are often worn casually and are perfect for the hotter summer months when a necktie would just feel too tight. Foulards can of course be incorporated into winter outfits as well but you must layer properly and make sure that the silk is tied tightly around your neck to keep out any wind. How to tie a foulard is a very common question but I think that any simple knot will do. There are no written rules about this and you should do what you think looks best. Pieces like these can be very easily be found at vintage stores and used to add a bit of creativity or color to your outfit.